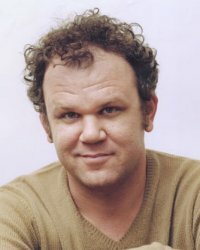 This rugged, curly-haired and unconventional-looking character actor has slowly worked his way in the business, doing small parts in films and being faithful to theater acting which gained a lot of experience from in his native Chicago. Even though it would be unfair to say he's been typecast in movies, Reilly has traditionally played dumb-witted or plain and humble characters that often find themselves in difficult situations. His versatility though is undeniable, something he showed doing all his own singing in Chicago (2002).